Few people know about parks and green spaces in Bangkok. It’s the crowded and congested streets flanked by skyscrapers and the smelly narrow alleys that usually pop into people’s heads. But Bangkok is not all chaos and pollution. As reported by Reuters in 2017, Bangkok has been fighting traffic problems and air pollution for years. That prevents the city’s air from reaching hazardous levels. Though our capital still has quite a long way to go, many public transportation and urban development projects are now underway. Actually, there are quite a lot of clean and green spaces scattered across Bangkok. 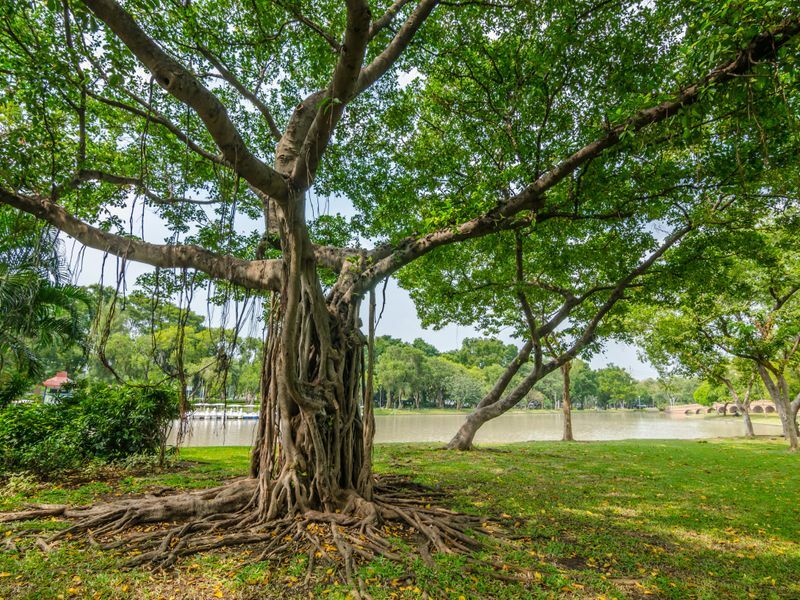 So if you need an escape, here’s our list of 7 best parks and green spaces in Bangkok. If you want to do something else after relaxing and refreshing yourself, our Local Experts can also introduce you to local activities in and around the area. You can try some activities only at these parks, so don’t miss the opportunity! 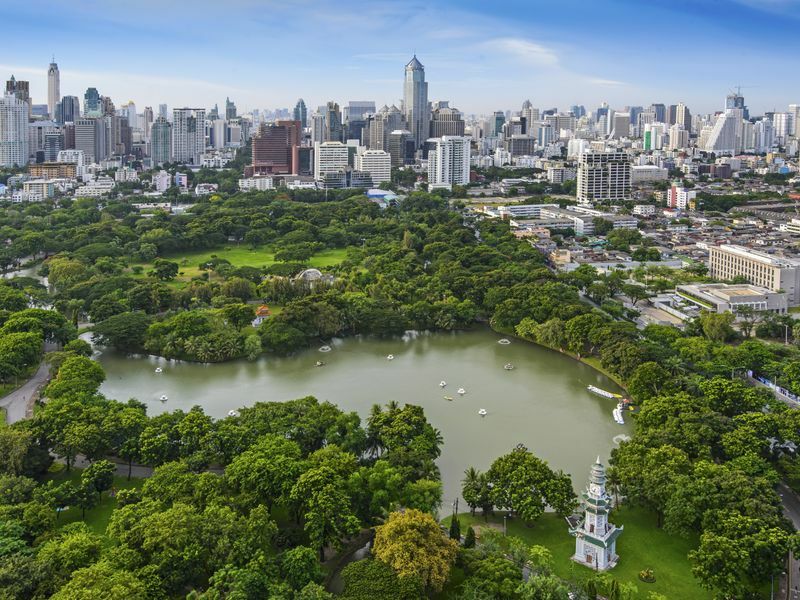 With its 142 acres of greenery, clear lake and broad pathways in Bangkok’s CBD, it’s easy to see why Lumphini Park is dubbed Bangkok’s Central Park. The first public park in Bangkok is a haven at any time of the day. Join the locals on their morning jog, cycling or tai chi. 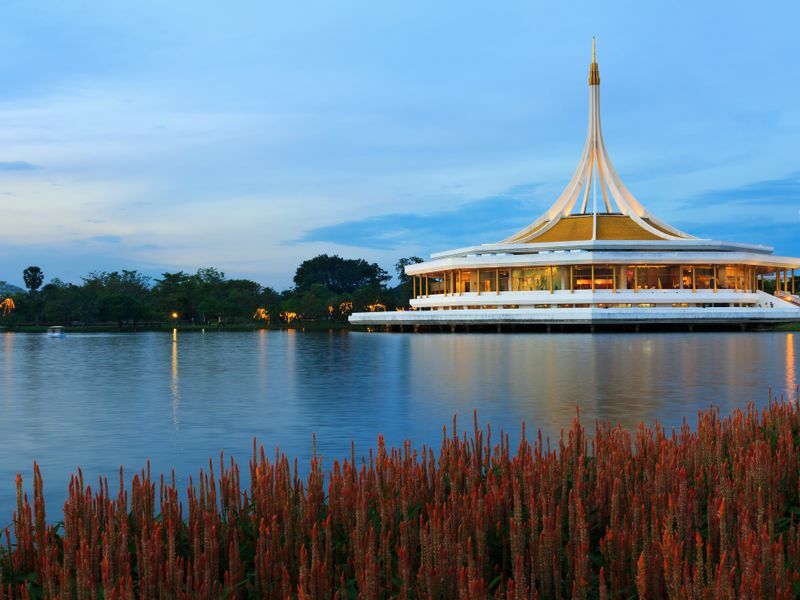 Then try Thai- or Chinese-style breakfast near the King Rama VI Statue and paddle across the lake on a swan boat. As the sun soars higher, retreat to the shades of the forest park and enjoy birdwatching. In the evening, Lumphini Park turns into an aerobic plaza and, occasionally, a concert venue. Visiting a university and unwinding don’t seem to belong together, but they do. 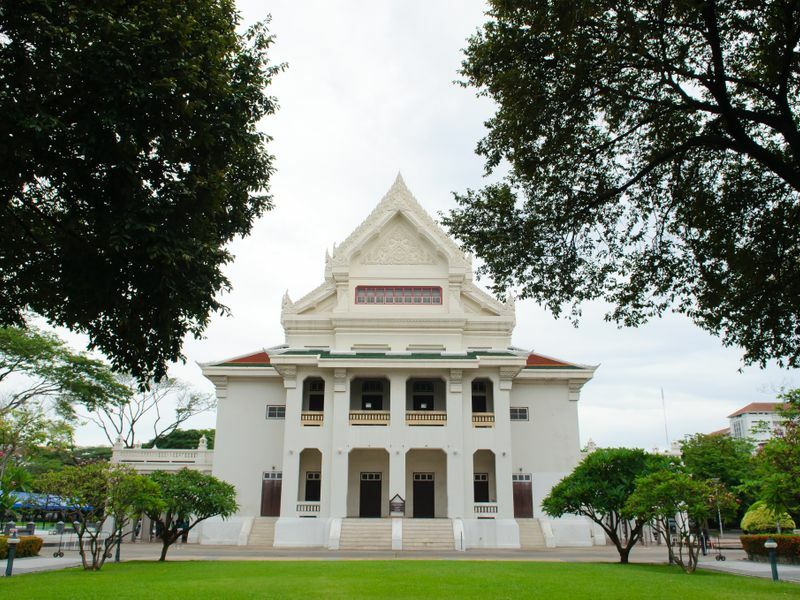 A few minutes from mega shopping malls, trendy boutiques and hip cafés in Siam is refreshingly green Chulalongkorn University. It’s the oldest university in Thailand and you can explore some traditional-style buildings and museums there. Also close to the campus is CU Centenary Park. You’ll find even more plants along with public activities organized by the university’s faculties and students. Chill Out Like a Local Siamese Youngster! Spread out over 200 acres, Rama IX Park (Suan Luang Rama IX) is the largest green space in Bangkok. Though it’s not free like the other parks and green spaces in Bangkok, the entrance fee of 10 baht is more than worth it. The park features not only a botanical garden, but also internationally-inspired gardens. You can literally hop from Japan to Italy to America and then back to the botanical garden and its ornate Thai pavilion in a lotus pond. During the Flower Festival in December, Suan Luang Rama IX will show its true colors with hundreds of flowers blooming. You can visit the park in any month, though. Water fun like sailing and kayaking is available every day. Chatuchak is a magnet for shoppers from all over the world with its all-encompassing options. But think about the crowds and Thailand’s heat combined. You risk dropping before you’re done shopping. Luckily, Chatuchak Park exists right next to Chatuchak Weekend Market and you can catch your breath on the park’s grassy lawn. A little bit further is Rot Fai Park (Wachirabenchathat Park). You can rent a bike and go cycling around the expansive park and visit Bangkok’s only Butterfly Garden and Insectarium. If you go to the parks in March, you can admire the picturesque pink trumpet blossoms. Although it’s a small compared to the other parks and green spaces in Bangkok, Santi Chai Prakan Park boasts a prime location by the Chao Phraya River, one of Bangkok’s two remaining forts called Phra Sumen Fort and an iconic wooden Thai-style pavilion. After exploring the Old Town, we suggest you stroll to the historic Banglamphu area for Santi Chai Prakan Park. Sit back, relax and enjoy the sunset over the river before setting off for the street feast along Phra Athit Road. 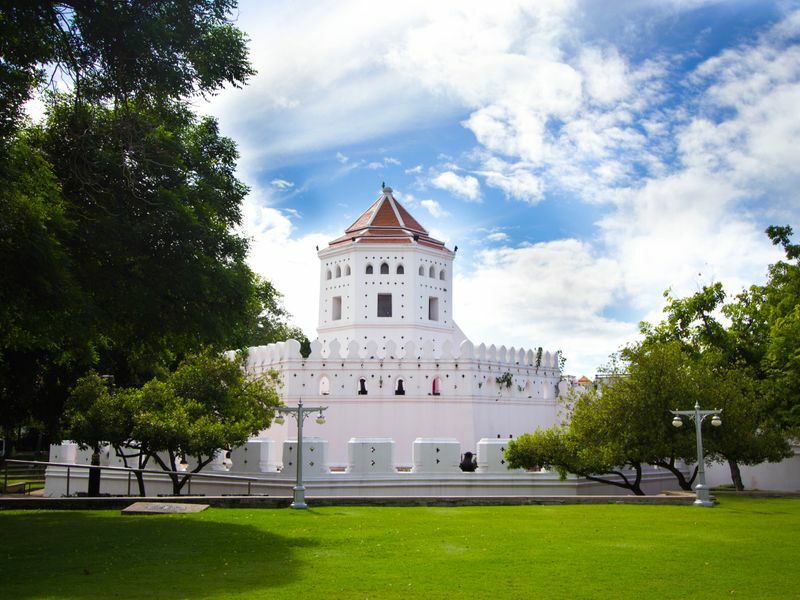 Situated on the site of Princess Mother or Princess Srinagarindra’s former home in Thonburi, Princess Mother Memorial Park is more than a respite from the crowds at tourist attractions. In remembrance of his mother, King Rama IX had the lush landscape created. You’ll find the Statue of Princess Mother and a recreation of her humble childhood home featuring exhibitions about her life and her royal initiative projects. The park is a bit of a walk from Wat Arun (Temple of Dawn), but there are beautiful religious sites and peaceful multi-religious communities along the way. 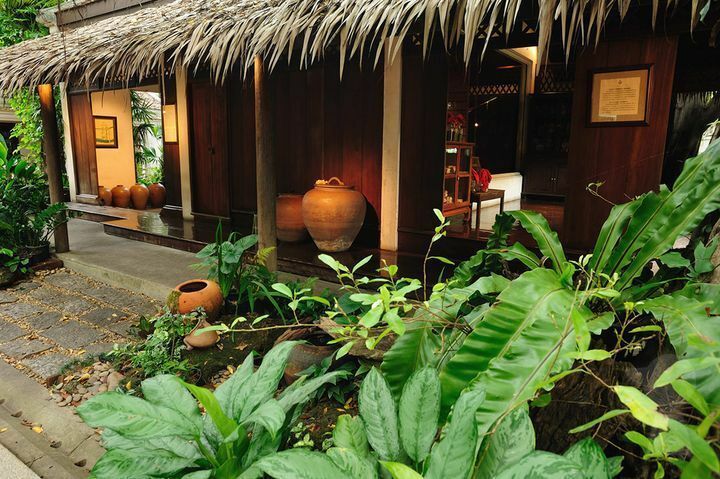 With TIME Magazine praising Bang Krachao as the best urban oasis in Asia, you know the area must be special. Though Bang Krachao is technically in Bangkok’s neighbor of Samut Prakarn, it’s often referred to as Bangkok’s green lung and is only a short boat ride away from the capital. 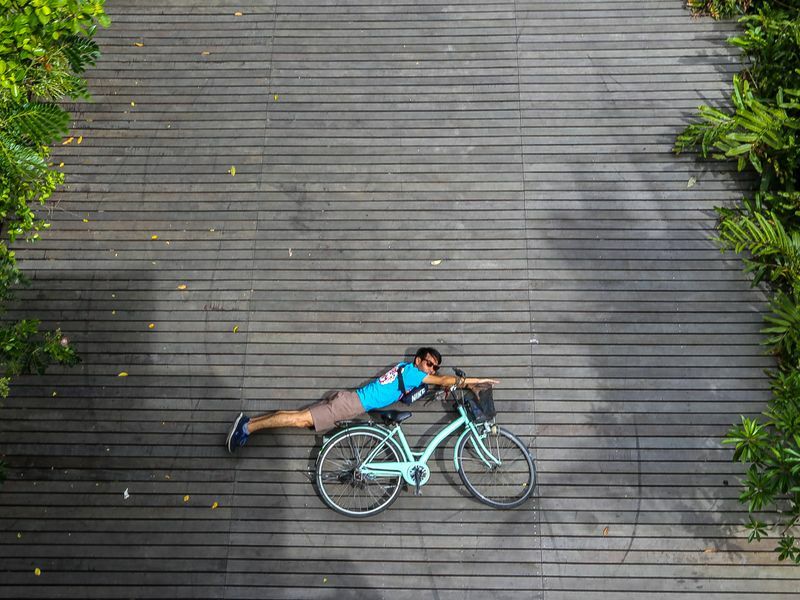 Cycling around Sri Nakhon Khuean Khan Park is obviously the most popular activity, but that’s not the only thing you can do there. Climb up the tower to watch birds (and snap away Instagram-worthy shots like our Local Expert did in the photo), visit the world’s only Siam Fighting Fish Museum, taste local food at Bang Namphueng Floating Market (weekend only) and enjoy hands-on local experiences by making herbal joss sticks and tie-dying.